The Legal Ethics Bundle is available with your ABA Premium law student membership. It’s not just about passing the MPRE. Conducting yourself ethically can make or break your reputation, or even your career. That’s why we offer over $100 in savings to ABA Premium law students. The MPRE is based on the ABA’s Model Rules. 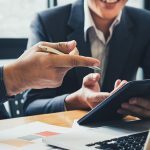 Federal, state, and local jurisdictions look to these rules in resolving lawyer malpractice cases, disciplinary actions, disqualification issues, sanctions questions. Bottom line? Every law student needs a copy. Free download (Premium login required). The free ebook is great when you’re on the go, but nothing beats print for exams and long law school study sessions. Grab a physical copy for your bookshelf at the lowest price. 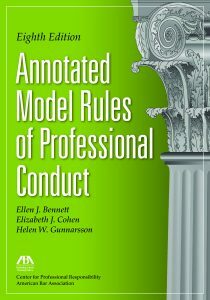 The Annotated Model Rules are the definitive legal ethics resource for courts, disciplinary bodies, and ethics committees. 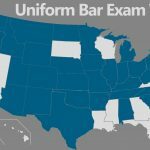 Each chapter begins with the rule and its comment followed by a link to charts comparing each state’s rule with the Model Rule, and then presents a detailed discussion of how the rule has been applied.